The removal of Turkish troops from northern Cyprus is “a Greek Cypriots’ dream,” said Turkey’s Foreign Minister Mevlut Cavusoglu on Thursday. 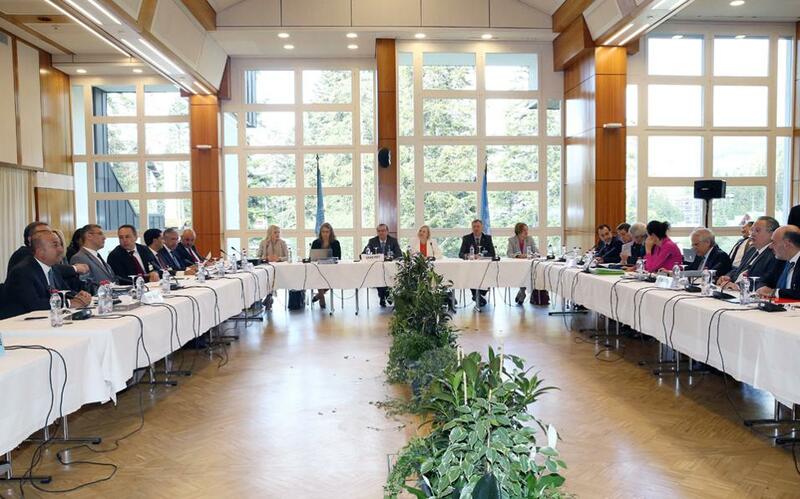 Cavusoglu spoke on the sidelines of the second day of the U.N.-sponsored peace talks between Greek Cypriots and Turkish Cypriots taking place in Crans-Montana, Switzerland. Currently there are 35,000 Turkish forces in the north part of the island. The Greek Cypriot side insists that for Cyprus to be united again in peace, the Turkish armed forces must leave the island. “This is their dream. They should wake up from this dream and they should abandon this dream,” Cavusoglu told Turkish and Turkish Cypriot reporters. At the same time he said that the current round of talks should be the last attempt to resolve the decades-old dispute over Cyprus. “We cannot continue negotiating forever,” the Turkish diplomat said, reiterating that the “no guarantees, no army” proposal of the Greek Cypriot side cannot be accepted. His Greek counterpart, Foreign Minister Nikos Kotzias, said the Turkish side has been repeating the same positions over and over. Cypriot President Nicos Anastasiades has a renewed proposal for an international police force backed up by the U.N. Security Council to keep the peace. He says outside military forces have no place on Cyprus, arguing that European Union statutes guarantee ample security measures. U.N. Secretary-General Antonio Guterres is to join the talks in Switzerland on Friday in the hope of moving the negotiations forward. Turkey invaded Cyprus in July 1974 after a failed coup attempt in Nicosia aiming to unite the island with Greece. Turkish armed forces are occupying the northern part of the island since then, calling it Turkish Republic of Northern Cyprus, a republic that is not recognized by the U.N. or any nation.